Staten Island, NY – Those attending the annual brunch for the Garibaldi Meucci Museum (GMM) were treated to a day of wonder, they were able to see the sites of Staten Island with its recovery efforts following hurricane Sandy. But most of all, it was an opportunity to be able to participate in an annual effort to help maintain, and preserve the famed Garibaldi Meucci Museum, now a landmark on Staten Island and in the City of New York. 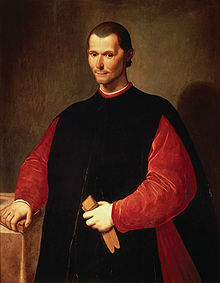 The home in which the Hero of Two Worlds, Giuseppe Garibaldi, lived with Inventor Antonio Meucci, was built sometime about 1843 and moved to its present site from across the street from its current property. The house has withstood, happily, even the many hurricanes, storms and weather conditions since that time. 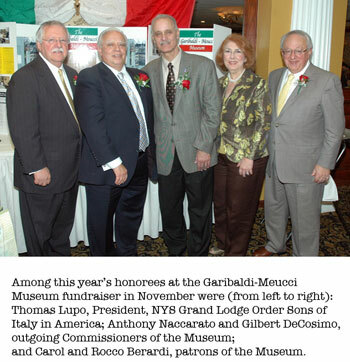 The event honored several highly recognized individuals, among who were: State President Thom A. Lupo, who heads the New York Grand Lodge of the Order Sons of Italy in America, Carol and Rocco Berardi, noted benefactors on the Staten Island scene, and who have assisted the museum for many years, as well as former GMM Commissioners Gloria Colantone, Gilbert DeCosimo and Anthony Naccarato. The festivities began with the singing of the national anthems, followed by an Invocation, recalling the memories of those lost in the Sandy hurricane from Staten Island. A surprise visit by Tenor Christopher Macchio was the highlight of the day, followed by the presentation of awards to the honorees; and then filled with enthusiasm; the guests fully supported the auction of a famed photo, followed by the super raffle prizes. Brick donations were made in an amount in excess of $10,000, which will increase the number of bricks currently ordered and installed in the Walkway. Following the close of the brunch, guests were all invited to attend a site visit to the Garibaldi Meucci Museum which culminated in a champagne toast to the current successful efforts and hope for the future.